The Gift Mark Pink Swivel Chair for children is truly a new and unique child's seat. Made with a solid and sturdy swivel base this chair swivels 360 degrees, and has the look and feel of fine leather. Made with an extremely thick cushion and padding, you will have no problems convincing your child to have a seat in this luxurious chair. In fact, your child will enjoy the seat so much, you will have a hard time getting them out of the chair. 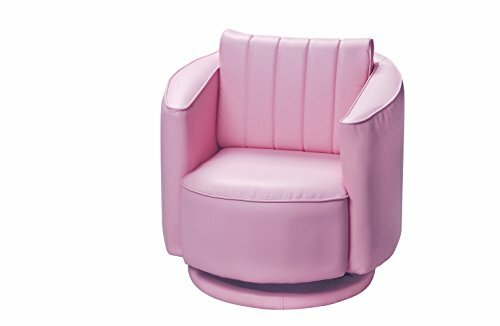 Pink Swivel Chair for children is truly a new and unique child's seat.